I know a bunch of us just got together this past weekend, but in case you missed it, don’t worry–we got another even planned right around the corner. On Tuesday, December 11th starting at 6pm, we will be meeting at MIYABE (**LOCATION CHANGE**) in La Verne for an amazing time of eating chicken or steak or sushi all prepared on a teppan table. 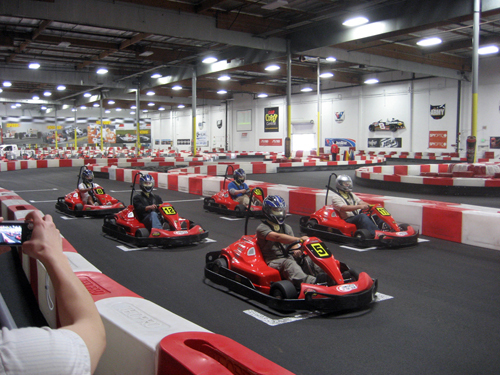 We also have the incredible opportunity to ‘race’ one another at one of the fastest and most intense indoor go-cart tracks around! After dinner we will be going to K1 racing in Ontario to commence a little friendly competition and a high rate of speed to see who will win.